We’ve worked with lots of great people over the years. Here’s what just a few have had to say about working with us! Want to share your own experience with us? Send us a note to let us know what working with Home Solution Cash Buyers has been like for you. Shaunna Karlous is all around wonderful to work with! We have double the experience to say so. She was our realtor when we bought the house, and then recently when we sold our house. Two qualities that impress me most are her dedication to her clients and her professional judgment. She makes her clients a top priority. Her judgment was right-on with the sale price of our house and later during the handling of incoming offers. Shaunna has earned our highest recommendation. We are so grateful we had Shaunna’s help in finding our new house. With the market moving quickly, she helped us understand everything we needed to have prepared. We also felt that she understood what we were looking for. We tried to have reasonable expectations of what we would find in a house and we got more than we imagined! We also had to be competitive and Shaunna helped us make the best offer we could on a desirable house. This gave us the best outcome in our experience. One of the many other wonderful things to say about Shaunna is that she was attentive to our individual needs as a couple and flexible in meeting with us. 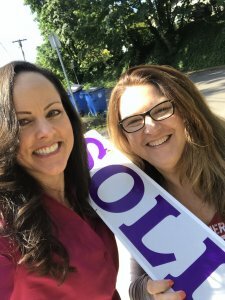 Bought a Single Family home in 2017 in Washougal, WA. Second home Shaunna has helped me purchase. Both had a lot of tricky details and we/she had to think “outside the box” . Shaunna is very pleasant yet tough when the deal requires it. She follows through quickly and concisely. I would be happy to recommend her services to family or friends (I have already actually) You will be pleased with her professionalism and kindness. She is EXCELLENT!!! Bought a Single Family home in 2017 in Hamey Heights, Vancouver, WA. My experience with Shaunna Karlous was priceless. Not only did she help me with my real estate needs. She also was very respectful of my purpose in the sell of my home. Shaunna is detailed, honest and reliable. She kept me informed throughout the entire process and made me feel like I was her number one! I know she is busy, but she never let me feel that. You are in great hands with Shaunna Karlous! Shaunna was amazing! We were selling a very nice 2nd home in Idaho with a pool etc. She researched and interviewed agents until she found just the right person. Peggy was wonderful calm experienced and very knowledgeable! 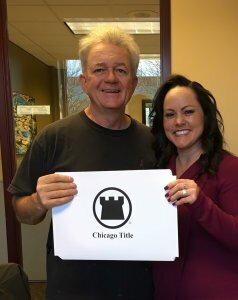 In a slow market she got our asking price and sold the house in one month after becoming our agent! Closing was easy! Peggy was incredible! Thanks to Shaunna our sale was quick, pretty stress free! We would definitely use Shaunna again!!! Bought and sold a Single Family home in 2016 in Fruitland, ID. Shaunna, while being friendly and positive, in addition to REALLY being on the ball, she really goes the extra mile to make things happen!! Thank you Shaunna for hanging in there till the end!! Shaunna was our second Realtor ever. Our first experience was terrible. This time around was great. My wife and I met Shaunna through a random open-house event that she was hosting. We had some conversation with her and she understood our situation and immediately offered to help in ways including ways that would not necessarily pay her. Right away, we all clicked well. She gave us a true feeling of caring for us as a family wanting us to be successful in whatever we decided. Shaunna did a great job through all stages of our house purchase. She went above and beyond to help us in ways that were well outside the bounds of what her job as a Realtor required. Shaunna was available basically around the clock for us. She followed up when she said she would and she was often ahead of us in the process, rather than the other way around. We did end up purchasing the home that we loved, even with a very difficult appraisal process and sale of our current home with her (Not Shaunna’s fault!) I would recommend Shaunna to anyone looking for a home in the area! 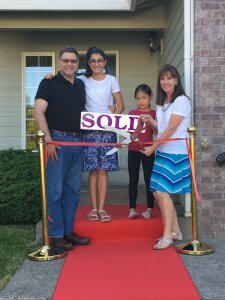 Bought and sold a Single Family home in 2016 in Battle Ground, WA. Over the years we’ve worked with 6 realtors, so we have a basis for comparison. In every way, during the entire process, Shaunna Karlous was superb. Should we ever need a realtor in the Camas/Vancouver area again we would ask Shaunna to be our realtor. The following is what stands out as exemplary performance. She said that she would be accessible, and she was. She said that she would only show us houses in our price range, and she was true to her word. Her communication was excellent. Shaunna fully deserves the 5 stars for negotiation. She was able to be direct during sensitive negotiations, yet maintain diplomacy and respectful relationships. Her technology was up to date and very convenient for us. This review would be incomplete if we did not speak to her personal side. Shaunna takes the time and makes the effort to do lots of thoughtful things that go above and beyond. She truly invests herself in her clients. To us Shaunna is both a professional, on the ball realtor, and a friend. We had the pleasure of working with Shauna on a recent FSBO transaction. If you are looking for a realtor that puts her client first, then look no further. Shauna REALLY cares about the desires and best interests of those involved in the transaction. She works with honesty and integrity throughout the process. We found her to be responsive and timely in communications.